This is the second Collection of hand picked favorites from the award winning vocalist herself. 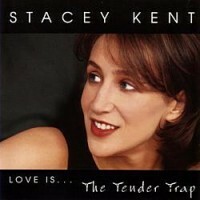 This is truly Stacey Kent at her very best. 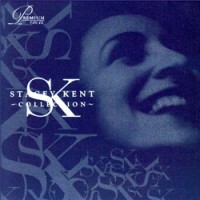 The is a collection of re-mastered, 24 bit tracks in a special collectors digipack release showcasing some of Kent’s most outstanding renditions. “Stacey Kent is a singer to match the greats of the past, with an unusual power to hold you attention and control your emotions for the first note”. Stacey leads the way in the revival of the Great American Songbook and over a decade into her singing career, Kent sells out every venue in which she plays, be these concerts in Stockholm, Los Angeles, Capetown or London, the city she calls home. She has a voice that demands to be listened to, yet never draws attention to itself, instead her natural and unaffected delivery allows the craft of the songwriters to shine though. “Stacey has, in fact, much in common with today’s finest screen actors who, assured of the camera’s ability to pick out detail, portray complex shades of personality, motive and feeling through subtle adjustments of face and posture. Like them, Stacey has complete mastery of her tools, but hardly allows us to be aware of them. In song after song, we find a route to the emotional heart of the music without first having to admire the technique.” Author Kazuo Ishiguro.